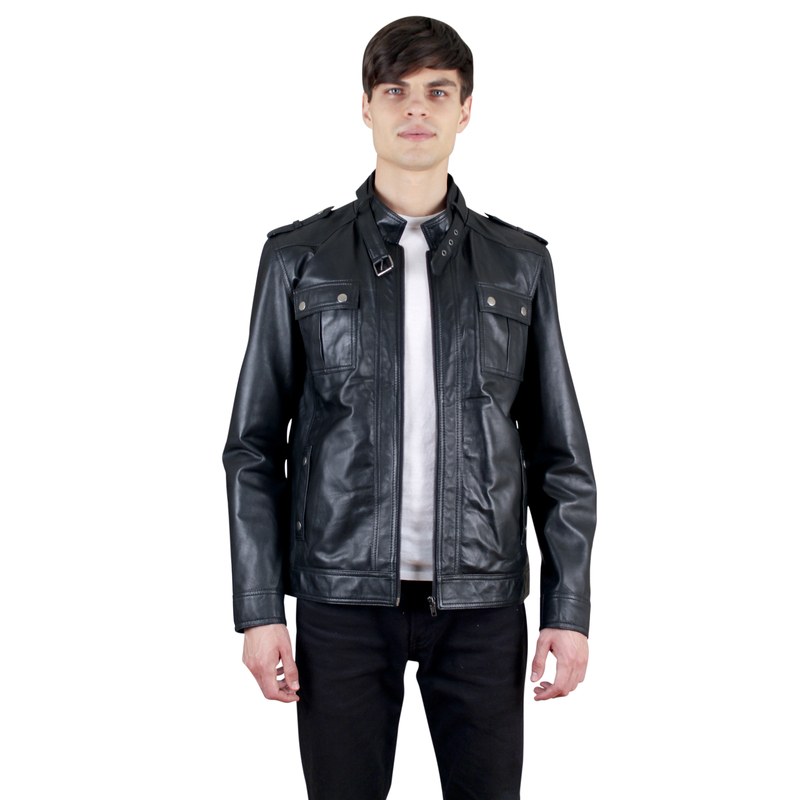 The NDK New York Men�s Moto Jacket is for raw and trendy men. With its metal-studded pocket flaps and lower-side slits it will make you stand out from the crowd. 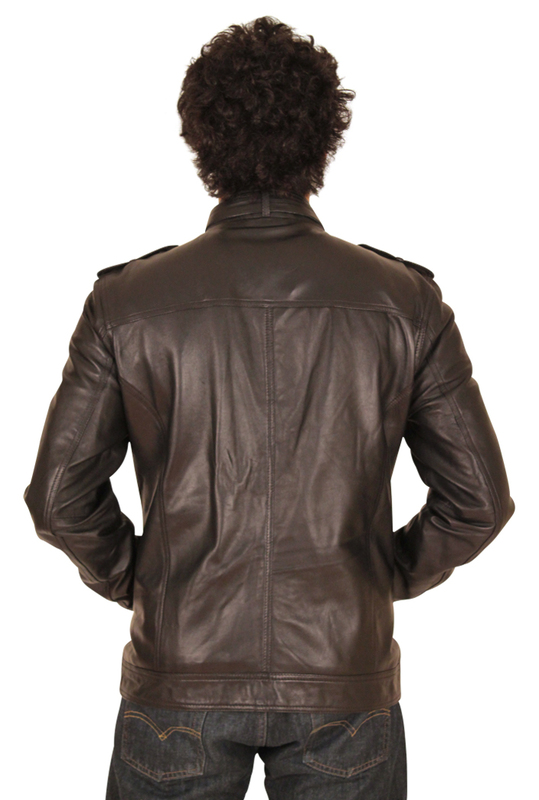 A stud ready to �wrooooom� on his ride in style, the jacket is available in black, and brown. The available sizes are XXS, XS, S, M, L, XL; sizes above XL are available for customization.